Sportrack SR2512 2 Bike Hitch Ball Rack , Truck & Car Racks from Proline: Thule Racks, Yakima Ski Racks, Bike Racks Canoe and Kayak Racks Cargo Carriers and Truck accessories. 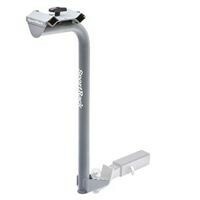 Sportrack SR2512 2 bike ball mounted hitch receiver bike racks. Holds up to 2 bicycles - bolt on mounting.